Google has launched a new product that it claims will measure the impact of marketing across devices and channels. 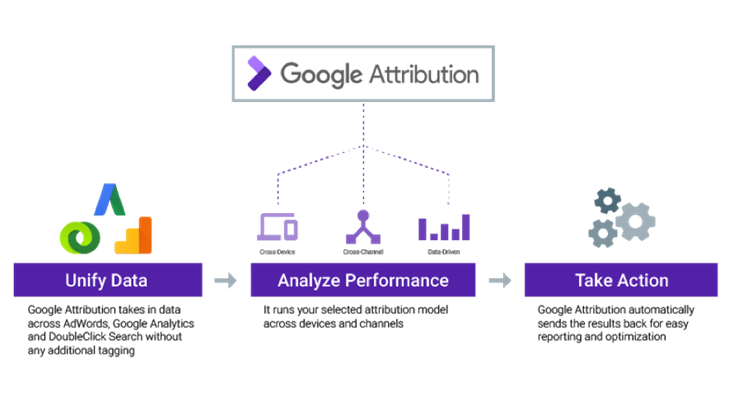 Built off Google’s 2014 acquisition of online attribution company, Adometry, Google Attribution is a new free solution Google offers baked into analytics. "The emphasis for us is simplicity. It’s very easy to connect to accounts on AdWords or Analytics, and other sources," Babak Pahlavan, Google’s senior director of product management – ads cross-channel measurement, global head of products, said during a press conference. "Essentially, we can set it up in minutes and, in 48 hours, data starts flowing in." According to Pahlavan, the free tool will measure clicks from all sources including email and social – as long as the data is deployed via Google Analytics. For marketers with more complicated needs, Google has also launched an enterprise solution, called Attribution 360. "This connects to additional data sources such as Doubleclick ad manager, which handles non-Google sources, and produces more sophisticated reports," Pahlavan said. The enterprise solution also comes with TV-attribution. "It analyses minute-by-minute of TV ads and assigns attributions it sees to search results and website visit list," Pahlavan said, adding that this is globally available. Both solutions are currently in beta, and is working with select advertisers including Hello Fresh, but will roll out to more advertisers in the coming months. Google has also made several updates to its Store Visits tool, which tracks what online interactions contributed to a customer walking into a store. First, by using machine learning, Google has expanded the tool’s capabilities to measure store visits at scale including visits that happen in multi-story malls or dense cities like Tokyo, Japan, São Paulo, Brazil where many business locations are situated close together. Google has also introduced a special format on YouTube’s TrueView ad platform which will now allow advertisers to measure from a video impression to a store visit. Fast-food chain Wendy’s in the US has seen nearly a million store visits from a TruView campaign in the last quarter of 2016, Jerry Dischler, vice-president of product management at Google said. "For advertisers who want more detail and granularity, they can link their loyalty data to Google ad clicks," Dischler said. These new ways of using data on Google should be GDPR compliant, Dischler said. "We have ensured that these solutions are all privacy safe with completely anonymised results." In the US, Google is taking its store visits tool one step further with store sales measurement at device and campaign levels. This will allow advertisers to measure in-store revenue in addition to store visits delivered by search and shopping ads, Sridhar Ramaswamy, Google’s senior vice-president of ads and commerce wrote in a blogpost announcing these updates. If a retailer collects email information at the point of sale for a loyalty programme, they can import store transactions into AdWords or use Google’s third-party partnerships which capture about 70% of credit and debit card transactions in the US. After opting in, store sales will be reported on AdWords. Going forward, store sales measurement will be expanded on a market-by-market basis based on partnerships, Dischler said. None of this would be possible without Google’s development of AI, Dischler said: "The only way we can confirm with 99% certainty that a user has visited a store, is with machine learning. If you were to use GPS data or Wi-Fi data alone, you’d get a very low degree of precision. Using deep neural networks, we take in data ranging from GPS, wifi, survey data and coordinates from hundreds of millions of buildings around the world to produce high-quality results." On the attribution front, only machine learning could process data from millions of user journeys and conversions, analysing touchpoints that correlate with an increasing propensity to convert, he continued. "The solution leverages machine learning with prediction models that determine from a set of touchpoints how likely a user is to make a purchase," Dischler added. "It models out how each of these touchpoints increase or decrease the likelihood of conversion and it assigns credits. The system goes over billions of these touchpoints and it’s only achievable with machine learning. Internally, we think of this as a breakthrough."